Ron Rhodes’ Bright Red 1968 Chevrolet Camaro is so clean, loud and fast that every time the small block Nitrous Wizard show up at drag racing event everyone feels intimidated. 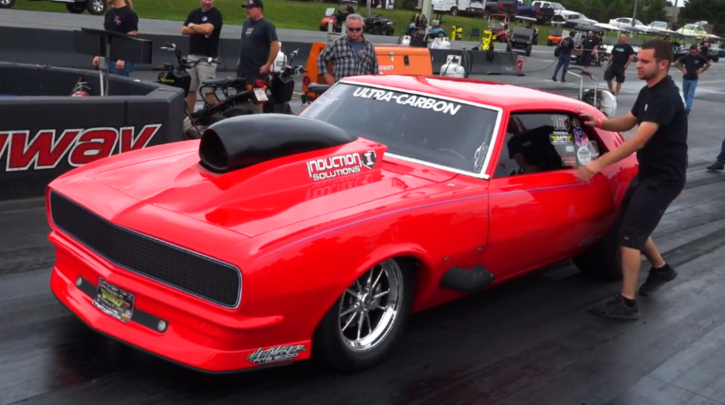 Seems like the “Induction Solutions” Camaro still enjoys breathing that Nitrous as Ron just reset his personal best in the X275 class at Cecil County Dragway. Check out the video brought to you by the “RacingVids” and make sure you hit the Like button!